“SMILE and show your Teeth!” Ask kids if babies have teeth. When first born you don’t have teeth but depend on milk from a bottle or breast like all other mammals. There is always an exception to everything and once I saw a newborn with a full set of baby teeth. In a few months gums will get sore and teething usually begins. Babies are given teething biscuits or a cold teething ring to help the discomfort. Teeth are alive and need nutrition (calcium from dairy products and fluoride, a natural element) to stay alive and grow healthy. TEETH are made of the hardest substance in the body and remain when skin and bones have disappeared. Babies are born with no teeth but have the beginnings of teeth before they are born. At about 5-6 months teething begins. The first teeth (primary teeth) are in by 2½ to 3 yrs. old. Primary teeth are pushed out by permanent teeth at the age of 5-6. By 14 we usually have a full set of 28 permanent teeth. Wisdom teeth come in about 20 yrs. The 20 primary teeth help permanent teeth erupt in their normal positions. Permanent teeth form close to the roots of the primary teeth and by the time primary teeth fall out most of the root has been dissolved. The tooth above the gum is the CROWN. The part below the gum is the ROOT. The crown is covered with ENAMEL the hardest tissue in the body and protects the tooth. DENTIN makes up most of the tooth and is hard, yellowish, and bonelike and protects the soft PULP inside. The pulp contains the nerves and blood and lymph vessels that keep it alive and healthy. The PULP is how the tooth receives nourishment and transmits signals to the brain. Dentin carries some of the nerve fibers that tell you when something is wrong inside the tooth. 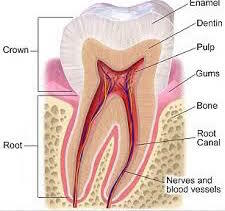 Blood vessels and nerves enter the tooth through the ROOT CANAL. As most teeth mature, the root canal closes and the pulp is sealed off. These teeth are “rooted”. In “Rootless” teeth the root canal remains open and the tooth continues to grow indefinitely. RODENT incisors are “rootless” ever growing teeth. The molars of dogs and humans are rooted. The DENTIN and the PULP go into the ROOT of the tooth. CEMENTUM that is like your body’s glue holds the roots of the teeth in the jawbone. A cushioning layer called the periodontal ligament sits between the cementum and the bone and connects the two. Teeth are present in most vertebrates (exceptions are turtles and modern birds). A significant distinction of mammals is that mammalian teeth are restricted to 3 bones = maxillary, premaxillary, and dentary. The teeth of most vertebrates are replaced throughout the animal’s life. This process doesn’t work well for animals that depend on occlusion (how the teeth fit together) for chewing. 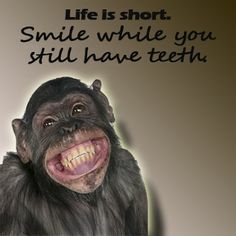 It is possible to estimate the age of an animal by determining if primary teeth are present and which ones, or by the amount of wear on the molars. Toothed whales have a single set of teeth. The Labial teeth are outside close to lips. Lingual are next to tongue and occlusal is where a tooth meets another tooth surface. The efficiency of the mouth to prepare food for digestion depends on the shape and size of the teeth and how they are used. 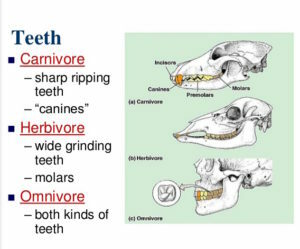 Different mammals have different ways of chewing. Teeth are worn away as they function and form wear facets that appear striated as teeth meet repeatedly in same pattern. Many mammals have fairly flexible articulation and move their jaws in a combination of motions. Guinea pigs slide their jaw forward to grind their food. Some carnivores can only chew up and down such as wolves. Different styles of chewing require different arrangements of the muscles. INCISORS cut and are the most anterior front teeth. In many animals these teeth are used for pincers for grasping or picking in feeding and grooming. Some are MODIFIED to form chisels for gnawing often with a gap (diastema) as in rodents, rabbits, and pikas. There are the scalpel incisors of vampire bats, the tusks of elephants, and the shovel-like lower incisors of hippos, and the lateral incisors of some carnivores like bears, which resemble small stabbing canine teeth. CANINES (“eye teeth”) tear. When present in mammals (often absent) they are the first tooth in the maxilla, are moderately to very long with a single cusp and 1 root. They are used for stabbing and holding prey. They are usually missing or reduced in size in herbivores. Some species use them as weapons and some animals have huge canines as the musk deer, narwhal, babyrousa, and baboons. MOLARS grind. They are not replaced but exist only as adult teeth. They are the most posterior teeth in the jaw. We are considered an adult when eruption is complete. Molars vary greatly in size, shape, and function. 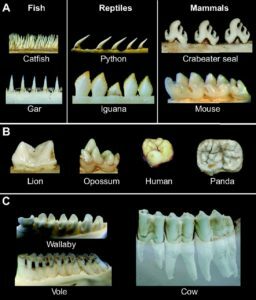 The # of teeth and type of teeth in an animal’s mouth tell a lot about it’s past. In toothed whales the # of teeth has increased, however in most mammals the # of teeth has been reduced in evolutionary history. 1. Shape the face and jaw and are the structural support of the facial muscles for expression. 4. The teeth, lips, and tongue are essential for speaking or singing. 8 molars are grinders. Molars in the top jaw have 3 roots. Molars in bottom jaw have 2 roots. Humans are DIPHYODONTS meaning they develop 2 sets of teeth. Rotting food, bacteria, and plaque causes DECAY. HALITOSIS is bad breath from not cleaning your mouth, food rotting in your mouth, decay, or from certain medications. PERIODONTAL Disease of the gums can be a cause of bad breath. What to do: keep mouth clean by brushing teeth, flossing, and rinsing with mouthwash. PLAQUE is a clear film that sticks to the teeth and acts like a magnet for bacteria and sugar. Bacteria break the sugar down into acids that eat away tooth enamel causing holes called cavities. Plaque also causes GINGIVITIS = a gum disease where the gums become red, swollen and sore. Some bacteria in the mouth are helpful and some are harmful. Before toothpaste people used ground up chalk or charcoal, lemon juice, ashes. About 100 yrs. ago someone invented a mint paste to clean teeth. When you brush you need a pea size bit of toothpaste and spit it out after brushing – don’t swallow it. Fluoride helps make teeth strong and protects them from cavities. Dentists may treat teeth with topical fluoride or you may take a vitamin with fluoride. Too much fluoride can cause tooth discoloration. Discoloration can also occur from prolonged use of antibiotics. Fluoride is a natural element found in many things like water or food. It makes stronger enamel. Topical fluoride makes the enamel stronger and more resistant to acid. Some toothpaste has fluoride. Pour 4“ fluoride solution in 1 container and put egg in to soak for 5 minutes. Pour 4“ of vinegar in other containers. Put the eggs in the vinegar. The egg without fluoride will start to bubble. Use toothbrush with soft bristles and take your time. Flossing your teeth gets rid of food your toothbrush can’t reach. Visit a dentist at least once a year. Bottle mouth or milk bottle decay is when the milk is allowed to bath the teeth for hours. A bottle sucked all day or night can result in pocked, pitted or discolored teeth. Severe cases result in cavities and the need to pull the teeth. 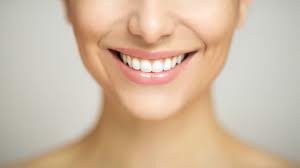 Orthodontic treatment may be needed to correct one’s bite and straighten the teeth. Crooked teeth are harder to clean and more likely to have cavities. Crooked teeth can affect the way a person chews and talks and how the smile looks. Retainers help keep teeth in their position. CAVITIES happen when bacteria in plaque digest carbohydrates in food and produce acid that dissolves the tooth enamel. IMPACTED WISDOM TEETH occur when there is not enough room for them to come in. They can damage other teeth, become impacted or infected. You can see them on X-ray. They are usually removed. PERIODONTAL DISEASE is when gums and bones become diseased. GINGIVITIS is the inflammation of the gums. There is redness, swelling, and bleeding caused by inadequate brushing and flossing and a buildup of tartar (a hardened film of plaque). If not treated the gums loosen around the teeth and pockets of bacteria and pus form that damage the bone and cause tooth loss. Materials: A bald baby with no teeth, a teething ring, puzzle of a tooth showing parts, examples of teeth from animals or skulls showing teeth (beaver, cat, shark are good examples), x-rays of teeth especially showing primary and secondary, toothbrush, floss, cast model of human teeth (from a dentist), model of the jaw of a shark showing many rows of teeth, picture to label parts of a tooth, chart to keep for when they brush their teeth. I also have kids echo words that especially use the teeth to make ( f, th, s, v, and z words). You might give them some tongue twisters too! The Importance of Teeth and Chewing Food. Chewing is a very important part of healthy digestion. Chew your food well. What you get in return is better health. Chew your food completely to be swallowed with ease. Digestion begins with chewing your food. Chewing triggers the rest of the digestive process. The process of chewing activates messages to the rest of the gastrointestinal system to begin the entire digestive process. Chewing activates taste receptors in the mouth and prompts the nervous system to relay information to the gastric system to optimize the process of digestion. Stimulation of the taste receptors can signal the stomach lining to produce hydrochloric acid that helps in the breakdown of protein. Chewing also signals the pancreas to prepare to secrete enzymes and bicarbonate into the lumen of the small intestines. Chewing breaks down food molecules to smaller particles. Increases the surface area, reduces esophageal stress and exposes food to saliva for a longer time. Saliva helps lubricate the food making it easier for foods to pass through the esophagus. The enzymes in saliva contribute to the chemical process of digestion. Carbohydrate digestion begins with saliva. The first stage of fat digestion occurs in the mouth. Incomplete digestion can lead to bacterial growth. When food is not well chewed and food fragments are too big to be broken down, incomplete digestion occurs. Nutrients do not get extracted from the food and it becomes fodder for bacteria in the colon, which can lead to bacterial overgrowth, flatulence, and symptoms of indigestion. Chewing relaxes the lower stomach muscle. Chewing is directly connected with the movement of food through your digestive tract, and with the movement of food from your stomach to your small intestine. At the lower end of your stomach, there is a muscle called the pylorus. This muscle must relax in order for food to leave your stomach and pass into your small intestine. Sufficient saliva from optimal chewing helps relax the pylorus, and helps your food move through your digestive tract in a healthy fashion. Recipe for healthy teeth includes regular brushing and flossing, and a diet rich in teeth-healthy foods. Some food choices can contribute to the wear and tear of teeth. Bacteria in the mouth burn sugars in order to live. The byproduct of this is acid which dissolves tooth enamel and causes cavities. Sticky sugary foods are bad for teeth because they stay on the teeth longer, giving bacteria a chance to burn sugars to acid and cause cavities. Foods and drinks that are acidic and sugary add up to double trouble for they have a multiplying effect. Saliva helps to naturally wash the mouth of food particles and can keep food from sticking to teeth. Anything that stalls saliva production is not ideal for tooth health either. Teeth brushing or mouth rinsing after consumption helps prevent decay. Avoid foods that combines sugar, acid and stickiness such as our, chewy candies like Starburst and Skittles. Brushing too soon after a highly acidic or sugary meal can actually cause additional damage to teeth, as the enamel of is softened immediately following contact with “bad” food. Wait 20 to 40 minutes before brushing. Saliva has a neutralizing effect on acid because it contains bicarbonate. It also has calcium and phosphate that help to “re-mineralize” the tooth’s surface. Cheese, sugar free gum, pears (most acid neutralizing), yogurt, and sesame seeds reduce plaque and help re-mineralize teeth. Cheese is low in sugar and acid, high in calcium, and contains casein, a protein found in milk that is particularly useful for fortifying the tooth’s surface. Dentists may prescribe a re-mineralizing paste called MI Paste made from casein. Parmesan cheese is recommended as a remedy against the degrading effects of acid exposure that accompanies frequent vomiting, often experienced by pregnant women or cancer patients undergoing chemotherapy. Sugary drinks, dried fruit, hard candy, alcohol, citrus acidic foods, starchy foods like bread and potato chips that stick to teeth, coffee. WHAT YOU SHOULD EAT FOR OPTIMAL DENTAL HEALTH. With young children I start by taking the fist end off of a simple air toy and asking them what they see inside. Everyone says nothing is there. Then I put the top on and squeeze it and the fist pops off. I tell them that air is inside. Air takes up space. What was the first thing you did when you were born? Hint -you do it all the time no matter where you are. BREATHE. Take a deep breath. 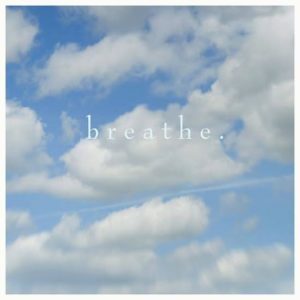 Ask children to watch you and breathe with you: deep breathing, shallow breathing, slow deep breathing, and fast. Make sounds with children and note that sound stops when you run out of air. You must have air in your lungs to sing, cry, laugh, or talk! Can you see air, feel air or smell air? Where is air? 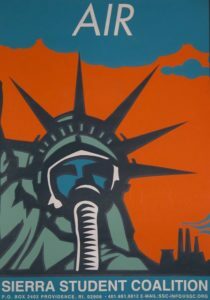 Air is around us everywhere. It is INVISIBLE. You can’t see air. Have kids blow on their hand and feel the air. Can you capture the air? Capture it in a balloon. Do air experiments – Spray a scent in the air and see how fast it travels through the air (See who smells it first and can tell you what it is?) I take a very long air bag and ask the children how many breaths it will take for me to blow it up. They usually say 100. I blow into it from a short distance creating a vacuum and blow it up with one breath. They are amazed. Ask them if they know of ways we use air? Ex. Tires, bubble wrap, generate energy, cooling etc. MATERIALS: Air toys, models of animals, picture of the stoma on the underside of leaves where they breathe, air fist, balloon, dancing ball, twirly gig, fan, air bag, air pump, scent, lung model. Ask the students questions. 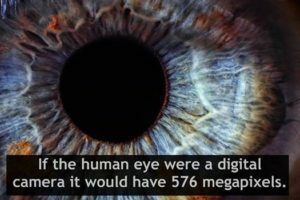 How many eyes do we have? Where are they on our body? What about other animals that have eyes? How are our eyes different? Some animals have eyes on the side of their head like a rabbit or on top of their head like a spider. A spider has eight eyes! Some animals have big eyes like an owl or a cat and can see well at night. A hawk has telescopic vision and can zoom in and see a mouse way off in a field. A snake that is a viper has pits that allow it to see the body heat of other mammals glowing in the dark. Insects like a fly or bee have compound eyes made of lots little sections that help them see movement. Examine the eye model and discuss the parts of the eye. a) Sclera = the whites of eyes (we can see blood vessels in the sclera). b) Cornea = a clear window in the front. c) Iris = colored part of the eye that lets light in. This is a good time to talk about eye safety and eye health, foods with vitamin A, the eye check up, things that can get in the eyes and sting or hurt the eyes, types of eye protection. I show the roll-up darkening glasses they give you after a check up, sunglasses and different types of protective glasses. Talk about instruments like the telescope, microscope, or spectrascope. Seeing is believing they say. 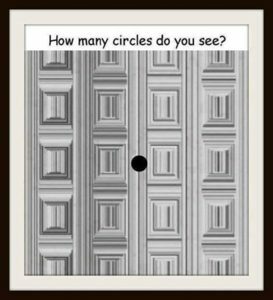 You might print out some illusions for them to examine. Goals: Children will know that they have two eyes on the front of their face and that other animals may have eyes that are very different from theirs and in different locations like rabbits and mice that have eyes on the sides of their heads that allow them to see all around and help keep them from getting caught and eaten. Children will know that spiders have eight eyes and worms have no eyes. Children understand where light comes from and that it is necessary for us to see. The light of the sun is white light and can be divided into the colors of the rainbow. Children will be familiar with the parts of the eye. Models of animals with have eyes different from ours. Prism in a sunny window to make a rainbow for the children to see. The rainbow will move in the room as the sun travels. Look before you leap – – Seeing is believing – – -I’ve got eyes in the back of my head. – – What you see is what you get – – -For crying out loud— Can you believe your eyes? We could not see if there was no light. Light from the sun allows us to see. There are other things that create light such as burning wood, coal, oil, candles, matches, electricity, and batteries. Some animals make their own light such as some fish or fireflies. White light that we can see from the sun can split into 7 colors that we can see – the colors of the rainbow You can use a prism in a window to split light and make a rainbows on the wall. Of all of the senses vision is often considered the most important! 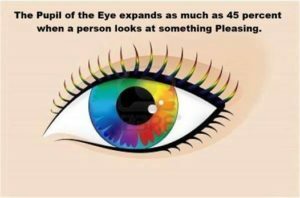 4/5ths of everything we know reaches our brains through our eyes by electrical signals through the optic nerve to the brain. Eyes receive information from light rays that are either absorbed or reflected by the world around us. 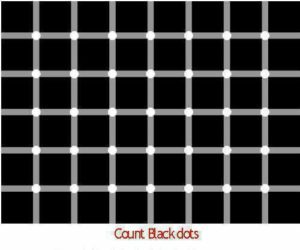 Objects that absorb all the light rays appear black. Objects that reflect all the light rays appear white. Colored objects reflect the light rays that they do not absorb. The IRIS is the colored part of your eye surrounding the PUPIL. Your pupil is the dark circle in the middle of the eye that admits light rays. Muscles can make your pupil smaller or larger to let in the right amount of light. If it is dark, the pupil gets larger as the iris gets smaller to let in more light. If it is bright, the pupil gets smaller and the iris gets larger to let in less light. The RETINA lines the inside of your EYEBAL and has special receptor cells called RODS and CONES. Rods are for black and white vision in dim light and for interpreting distance. The cones function in full light and enable you to see colors. Color blindness is inherited, rarely occurs in women, and is caused by a defect in the cones. Different cones are sensitive to different colors. There is a test one can take for color blindness. A newborn baby is farsighted and cannot focus on things nearby for several months. As a person gets older the lens may lose its elasticity and one may not be able to focus on things clearly. This may be corrected with glasses. Tiny muscles control the movements of the eyeballs. If there is an imbalance in the strength of the eye muscles you may appear cross-eyed or walleyed. You need carrots and green leafy vegetables to get Vitamin A in order to have good night vision. Looking nearby the lens thickens. Looking far away the lens gets thinner. The tough clear CORNEA protects the IRIS and LENS. Your brow, eyelid and lashes help to keep dirt and dust out. Eyelids help keep eyes clean and moist. Your lachrymal gland at the upper outside of the eye constantly supplies moisture to keep the cornea clean. The fluid empties into your tear duct into your nasal cavity. EYEBALLS as big as ping-pong balls, sit in EYESOCKETS of bone that help to protect them. 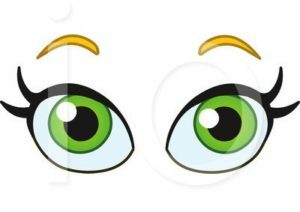 Eyelid blinking is a voluntary and involuntary movement. There are many inventions to assist us in seeing such as the telescope, binoculars, microscope, and periscope. There are also things to protect the eyes such as protective glasses, sunglasses, and goggles. Your vision is the strongest of the six senses that you have. Sclera = the whites of the eyes. 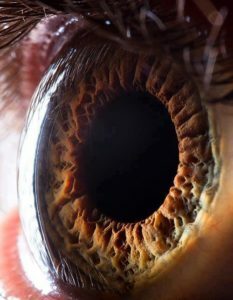 Cornea = the clear tissue in front of the pupil and is like a window. 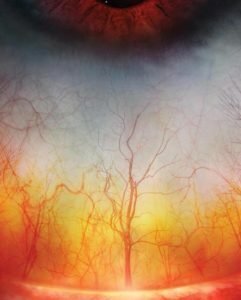 The retina is smaller than a dime and changes light to impulses. The ciliary muscle changes the shape of the lens to focus. 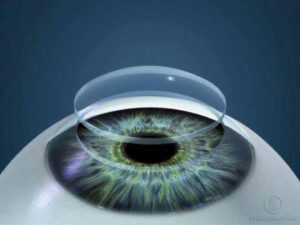 Vitreous humor = jelly like liquid inside eye. Eyes have a special bathing system. The lachrymal gland is at the outer corner of the eye and a little bit of tear comes out when you blink to keep the eye moist. Tears come out of the tear duct on the inside corner of the eye. 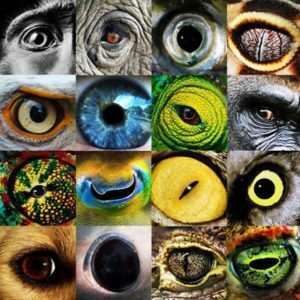 There are differences in vision the vision animals have. Some underwater animals have a clear nictitating membrane over their eyes for under water vision. Hawks have telescopic vision and their eyes take up most of the space in their head. Rabbits have eyes on the side of their heads giving them a wrap-around vision for they have a lot of predators to watch out for. Cats can see at night and can see colors, but not as bright. They may not see red at all. You can sneak up on a whale from straight ahead because their eyes are way back on the sides of their heads and they cannot see directly ahead. Sharks can see shapes and movement as good as us. Most sharks only see shades of black and white. Pit vipers have the ability to see the infrared light of our body heat at night. Pit vipers have 4 sight organs: 2 eyes and 2 pits and they can see heat waves radiating from a body. Honeybees have compound eyes. A compound eye has 6 facets and is designed to see movement. Cats with eyes in the front of their head have binocular vision. Owls have visual power 8 times more acute than ours and have the widest range of vision of all birds. Manny mammals have 2 types of cones and are less able to see reds and greens. All mammals have some degree of color vision. Rabbit’s eyes are red and they have a panoramic view with a blind spot straight ahead. Wolf spiders have 8 simple eyes. The side eyes are for motion and peripheral vision. There is a wide variation in the eyes of spiders. They lack lenses so cannot see from near to far. Amphibians were the first animals to make tears. The vertical pupil is characteristic of nocturnal animals. Insects cannot close their eyes. Antioxidants: Beta-carotene, lutein, and zeaxanthin protect the macula (a part of the eye that is near the center of the retina) from sun damage. 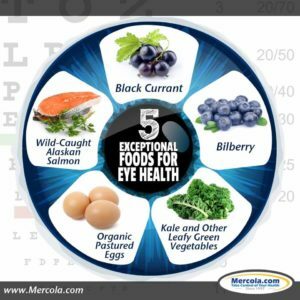 Foods rich in these nutrients have been found to prevent age-related macular generation — a leading cause of blindness. Some of these foods include dark leafy greens, egg yolks, yellow peppers, pumpkin, sweet potatoes, and carrots. DHA (Fish Oil): DHA is a fatty acid that can be found in coldwater fish like wild salmon, krill, and cod. A high-quality mercury-free fish oil supplement will provide structural support for the eyes through strengthening cell membranes. Pure water: Water is beneficial for the entire body. Drinking an adequate amount of pure filtered water will prevent total-body dehydration, and subsequently dry eyes. Warm up the eyes: Rub your hands together to create warmth, and then put them over your eyes for 5 seconds. Repeat this process 3 times. 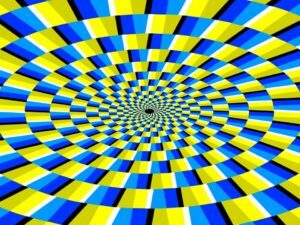 Roll your eyes: Starting by looking at the ceiling, slowly roll your eyes 10 clockwise and 10 times counter-clockwise. Focus: Hold a pen an arm’s length away. 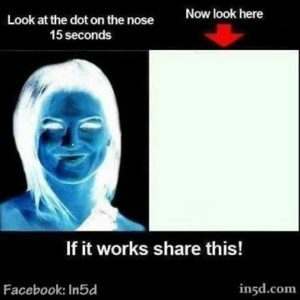 Focus your vision on it, and then slowly bring the pen forward until it is about 6 inches away from your nose. Slowly move the pen back to its original position. Repeat this process 10 times. Massage your temples: Using the knuckles of your thumbs, gently massage your temples in small circles. Perform the motion in one direction 20 times, and then 20 times once more in the opposite direction. Many environmental factors contribute to poor vision. Fluorescent lights, computer screens, environmental allergens, chlorine in swimming pools, air conditioning and heating, reading in dim lighting, and constant rubbing of the eyes all play a role in diminishing your vision. In addition, cigarette use increases optic pressure, which can result in a number of damaging consequences. Your eyes need rest. For every 50 minutes spent reading or sitting in front of a computer screen, give your eyes a rest for 10 minutes. Cupping your hands over your closed eyes ensuring that no light is reaching them is a great way to relax them. Be sure to get 7-8 hours of sleep per night to ensure not only rested and recovered eyes, but a rested and recovered body. Close up of the schlera. 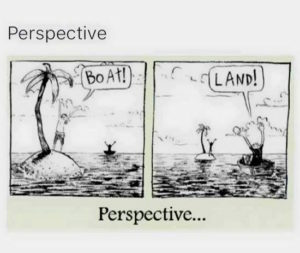 Remember we have limited vision of the world. 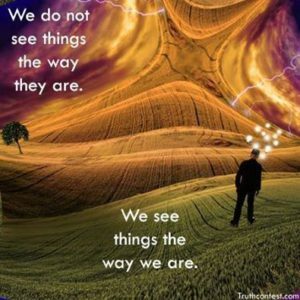 Often things are invisible to us or an illusion and what we see is not there or happening. 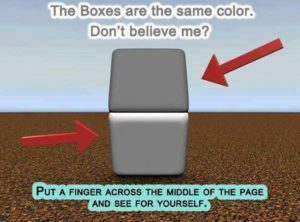 Check out these illusions! How many ears do you have? Our two ears collect sound vibrations and tell us more accurately where a sound is coming from. Ears come in all sizes and shapes. What are some other animals that have ears? Discuss the ears of rabbits, elephants, rhinoceros, dogs, bats and whales. What is a vibration? Quivering, shaking to and fro or side to side, back and forth. Sound waves are vibrations that are invisible and travel through the air. 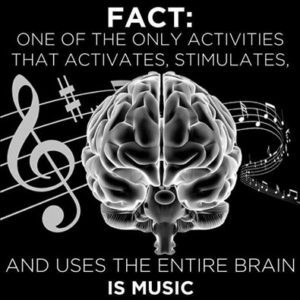 Ears collect sound vibrations and send messages to our brain that tells us what we hear. They help us keep our balance. We make sounds to communicate warnings, our needs, information, or to sing. OUTER EAR = The part you see that collects sound waves and sends them through the Ear canal. This is where wax is made that collects dirt and helps fight off infection. The EAR DRUM receives the sound waves, is also part of the outer ear, and is a piece of skin (like the head of a drum) that sends vibrations to the bones of the inner ear. MIDDLE EAR = Turns sound waves to vibrations. 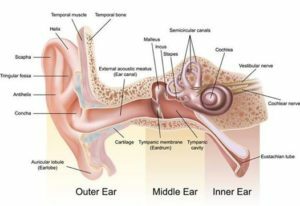 It consists of the OSSICLES, three tiny bones – HAMMER, ANVIL, and STIRRUP (the smallest bone in our body) that lead to the oval window and send the sound vibrations to the inner ear. The middle ear is connected to the Eustachian tube that regulated the air pressure in the ear. When there is a change of pressure going up a mountain or flying in a plane, this is what causes your ears to make a little pop. INNER EAR = Here the vibrations go into the COCHLEA that looks like a snail shell. It is filled with fluid and tiny hairs that send electrical signals through the auditory nerve to the brain and the brain translates what we hear. 3 SEMICIRCULAR CANALS are next to the cochlea and keep us balanced. They report to the brain the movements of the head. The skull acts as a resonance chamber like the body on a guitar and amplifies the sound. With swimmers ear the bump or tragus is sore. If there is an inner ear infection you will run a fever and it hurts when you swallow. THREE CHEERS FOR THE EARS! Activities: Teach them the sign language for I love you and let them know that people who cannot hear use sign language. Examine models of animals with different ears. Experiment making sounds with their body clapping, snapping, and tapping. Make the tuning fork vibrate and listen to the sound. Let children turn around a few times and stop to notice that they get a little dizzy until the fluid in their ears stops moving around. Examine the model of the ear. Listen to recording of sounds animals make. 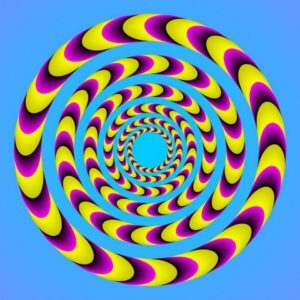 Play some listening games “What is it? Match the Sound, High-Low, or Did You Hear That?”I have a sound bingo game we play and I love to use the melody bells and let them tell me which one is higher or lower or let them put the bells in ascending order from low to high. Materials: Models of animals showing ears of different sizes and shapes, tuning forks, glass of water to show how vibration travels, Model of the ear, Chart showing the parts of the ear, Chart showing sound waves, Ear puzzle, Drum and peas(or rice) to show vibration, Glass of water to show how water keeps moving when the glass is still . (this is why we get dizzy on rides at the fair or when we stop spinning), Earplugs, melody bells, sound bingo game. “The human brain has more switches than all the computers on Earth. Researchers at Stanford developed a new imaging method that enables visualization in unprecedented detail of the myriad connections between nerve cells in the brain. “They found that the brain’s complexity is beyond anything they’d imagined, almost to the point of being beyond belief,” says Stephen Smith, a professor of molecular and cellular physiology and senior author of the paper describing the study. One synapse, by itself, is more like a microprocessor–with both memory-storage and information-processing elements–than a mere on/off switch. In fact, one synapse may contain on the order of 1,000 molecular-scale switches. A single human brain has more switches than all the computers and routers and Internet connections on Earth. A typical, healthy brain houses some 200 billion nerve cells, which are connected to one another via hundreds of trillions of synapses. Each synapse functions like a microprocessor, and tens of thousands of them can connect a single neuron to other nerve cells. 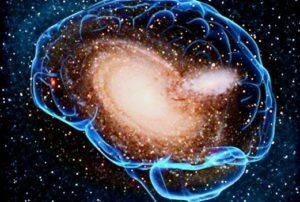 In the cerebral cortex alone, there are roughly 125 trillion synapses, which is about how many stars fill 1,500 Milky Way galaxies. These synapses are so tiny (less than a thousandth of a millimeter in diameter) that humans haven’t been able to see with great clarity what exactly they do and how, beyond knowing that their numbers vary over time. That is until now. 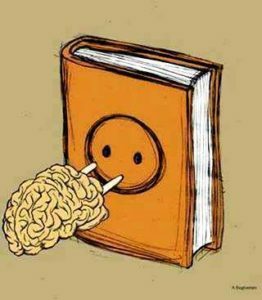 Do we have electricity inside of us? Yes, we do. 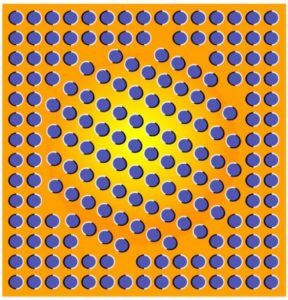 Ripples of electricity take messages to our brain. 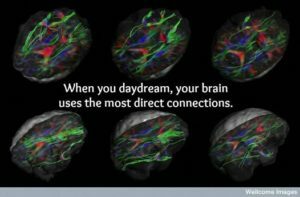 Electricity travels to the brain along cells called neurons and the brain gets the message and tells us what to do. 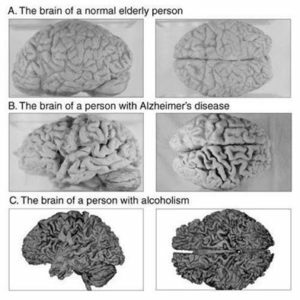 Where is our brain? Our brain is inside our head and is protected by the bones of our skull. The long chord that comes from our brain is our spinal chord and it is inside the vertebrae of our back. These bones protect the spinal chord. Nerve cells carry electrical signals to and from the spinal chord. 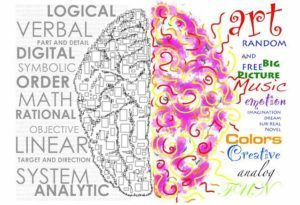 All five of our senses are connected to our brain. The brain tells us to move or if we are touching something. 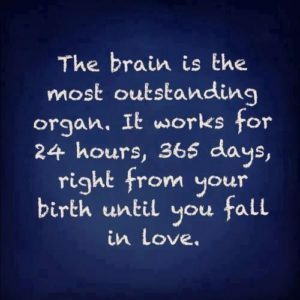 The fastest brain message travels 360 mph! The brain, spinal chord and nerves (31 pair of spinal nerves) make up our nervous system and control the actions and sensations of the whole body. The largest cells in our body are nerve cells. In the brain they are very small, but they can be as long as 4 feet in our legs. Point out the parts of the nervous system on the chart. The spinal nerves have 2 jobs; taking messages to the brain and reflexes. Draw a picture of a neuron. There are 3 kinds of neurons: motor, sensory, and connector. 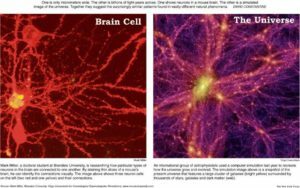 We have 100 billion neurons in our body. The brain controls the whole body and tries to keep it stable (homeostasis). What gives the brain energy? OXYGEN from the air we breathe gives the brain energy. If the brain goes for 5 minutes without oxygen then it begins to die. If we learn something new, the brain grows and makes new connections! People who study the brain are called Neurologists. Neurologists believe that the brain is surrounded by liquid crystals. Show the liquid crystals and how they respond to the heat of your hand. Not only does the brain control the whole body, but also your emotions, pain, thoughts, and memory. 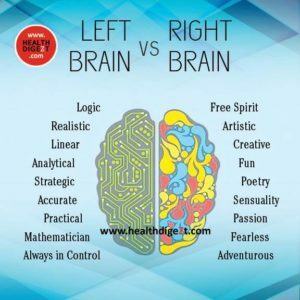 The right side of the brain controls the left side of the body and the left side of the brain controls the right side of the body. Examine the model of the brain and point out the two cerebral hemispheres and the brain stem that attaches to the spinal chord. The brain works using chemicals and electricity and is sensitive to the food we eat. Some things can hurt our brain like poisons from certain plants or animal bites, pollution in the air and exposure to certain chemicals and metals can cause nutritional imbalances, allergies, brain fog, and chronic fatigue. We are what we eat! It starts with the soil that determines the nutrients in the plants we eat. Without copper, plant leaves turn yellow. If we get too little copper, we can develop brain fog, thyroid and hormone problems. If we don’t get enough calcium and magnesium, nerves fire improperly, awareness is lessened, and we experience mental fatigue and numbness. It is important where our food comes from, how it is grown, and how clean the environment is. Use your noodle and make new connections! What animal do you think has the biggest brain? The sperm whale has the biggest brain. (201 lbs.) Our brain weighs only about 3 lbs. A worm has a brain and spinal chord and even a slug is able to learn things! Activities: Children can make the connection with their finger and light up the energy ball. Examine the chart of the nervous system and realize that nerves reach to all parts of the body and are connected to the brain by the spinal chord. Examine the model of the brain and see how it fits into the skull. Observe the change in the liquid crystals from the heat of their hand. Give them some brain teasers. 1. MUSCLES MOVE! Muscle work requires energy! Muscles need oxygen to work. If they don’t get enough oxygen when working, they will produce muscle fatigue from lactic acid and will ache or stop working completely. The energy comes from oxygen and glucose from the carbohydrates you eat. To release energy the glucose must combine with oxygen from red blood cells. Muscles cramp when there is not enough oxygen and lactic acid builds up. Inside muscles ATP is like a battery that stores energy. Muscles work if they have a constant supply of ATP provided by respiration. Aerobic = food + oxygen = ATP. If you exercise intensely and the heart can’t keep up then the anaerobic system takes over and ATP is produced without oxygen and also produces the poison lactic acid. You need protein for healthy muscles. Aerobic exercise increases oxygen in the blood and strengthens the heart. The more you exercise, the more food and oxygen you need. The more you use muscles, the stronger they grow. Without exercise, healthy nourishment and enough oxygen muscles become smaller and weaker. To strengthen muscles you must work against a stronger resistance than used to and increase as muscle training continues. Exercise doesn’t increase the number of muscle cells but increases the size of the existing cells. To develop bigger muscles the individual muscle filaments grow in thickness 24-48 hours later. Muscles have the only kind of tissue that can contract getting shorter and thicker. Put your thumbs in your ears and you can hear the rumbling sound of your muscles contracting! We have 656 muscles in our body. More than 200 operate when we take a step. They are controlled by the central nervous system through nerve impulses from our brain. 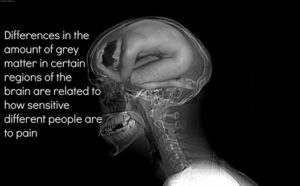 If your nervous system weren’t so efficient, you might be socking yourself in the face instead of scratching your nose! Muscles are voluntary as skeletal muscles or involuntary as organs. Muscles are mostly protein – meat on the bones – flesh. When we eat meat we are eating muscle tissue. There are red and white muscle cells mixed together. Red cells work longer but white cells are stronger. This is why there is white meat and red meat. Muscles are attached to our bones by tough inelastic tendons. We can see tendons on the back of the hand. You can feel one of the biggest tendons, the achilles at the back of your foot at the heal. Bones are attached to bones by ligaments and joints are oiled by synovial fluid. Cartilage acts as a shock absorber. It is cartilage that grows into bone. 1. Striped Skeletal Muscles – Are voluntary muscles. We can control these muscles at will. Most are attached to bone and move us. The muscles can’t push but work in pairs. One relaxes and the other contracts. one muscle gets long and the other contracts to shorten. Our reflex action is involuntary and comes from the spinal chord. 2. Smooth Muscles are responsible for the movements inside of us – our guts and organs. We cannot control the digestive or circulatory system, nor the diaphragm, muscle of the iris in the eye, or the muscle of each hair when we get goose bumps. When we are hungry our stomach muscle contracts and if there is air in the stomach it growls for food! 3. 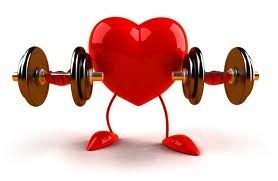 Cardiac Muscle makes up our heart and is our strongest involuntary muscle. We cannot control it and it never stops working till we die. The heart is a pump that feeds oxygen and nutrition to our body. 4. Stabalizes the spine of the skeletal system. The tongue is your most flexible and dangerous muscle. Our smallest muscle is in the ear. The largest in in our rear – the gluteous maximus of our derriere. Our strongest is the jaw masseter muscle we use to bite, chew and talk. The most active muscles are the eye muscles. Takes more muscles and energy to frown than to smile! In multiple schlerosis a layer of fat is absent from muscles and they can’t transmit nerve messages properly. Muscular dystrophy is when muscles waste away. Muscles can become paralized from brain damage. A strained muscle is one that has been stretched too much. Be a body scientist and test your reaction time catching a ruler, check your pulse, listen to your heart, listen to your muscles contract, check knee reflex, lung capacity, nail growth, and get outside and exercise!